A herbicide is a chemical substance used to control or manipulate undesirable vegetation, especially weeds. 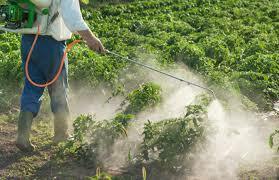 Herbicides are extensively used in gardening, farming, and landscape turf management. Herbicides are classified into two categories: selective and non-selective. Selective herbicides kill specific unwanted plants while leaving desirable vegetation relatively unharmed. Non-selective herbicides (total weed killers) kill all or most plant species. A herbicide can be applied directly to the plant, applied to the soil, or sprayed onto the foliage. Herbicides are applied before, during, or after crop planting in row-crop farming to maximize crop production by diminishing the development of unwanted plants. Herbicides are also applied in ponds and lakes to control aquatic plants, in forests to prepare logged areas for replanting, and to golf courses, lawns, parks, and other areas to clear out unwanted vegetation.